There is much to be said about seeking coffee cup bliss, and yet so much is clouded by the brands we use or the cafés that we trust. How to make good coffee is something worth knowing. It doesn’t seem to be so easy for everyone though. How often does it happen you go to a restaurant and have an enjoyable meal, but the coffee is a major let down? These days it happens a lot. Often the coffee is weak and tasteless, or it has been sitting there, warmed up for a long time, with the result of it producing a cringe-worthy tequila face one tries to hide as you hold conversation. I soon discovered there is a definite art to achieving a good cup of coffee. I think there’s also a skill involved in achieving the right balance in the extraction time, which secures a good flavour. Contrary to popular belief, dark and strong does not make for a bigger caffeine buzz. Lightly roasted beans are higher in caffeine, but are also have a lighter flavour. Darkly roasted beans are slightly lower in caffeine content, yet they are stronger, richer and have a fuller flavour. So is making good coffee a skill or an art form or just a stroke of luck? 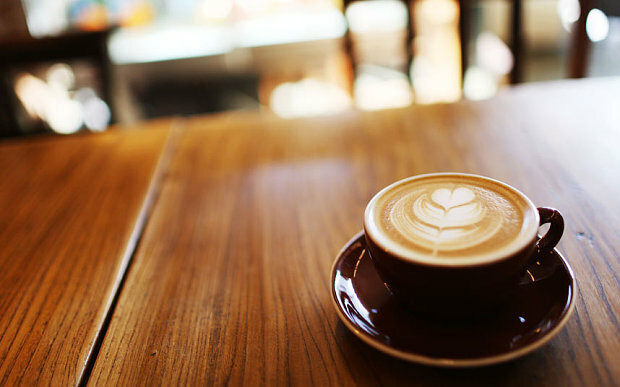 Enter Latte Art and you’re back to scratching your head contemplating that good old cuppa Joe. 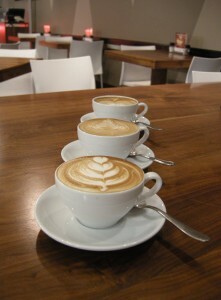 Latte art, involves creating various patterns made from the foam topping espresso drinks. It’s not as simple as it may sound, since the espresso shot and the steaming milk accomplish some taxing situations. Moreover, the pattern on the Latte also depends on the experience of the barista, the espresso machine and how well the artist pours it. I carried on with my quest for the perfect brew. Perfect it comes down to the cooking time of each cup. If you were to under extract the coffee it would result in a sour flavour, while extracting the beans for too long would produce a more bitter flavour. Also remember to use fresh milk and to never reheat the milk at any time. So perhaps making a delicious cup of coffee is not a complex art, magical experience or a hit-and-miss stroke of luck. What counts is simple math and physics, and as long as you understand the chemistry of coffee you can produce a perfect cup every time.